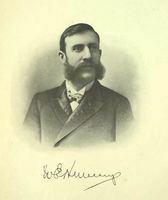 NEILSON, WILLIAM, businessman; b. 16 March 1844 near Ramsayville (Almonte), Upper Canada, son of John Neilson and Mary Lang; m. 6 Oct. 1875 Mary Eva Kaiser of Rochester, N.Y., and they had four sons and a daughter; d. 10 Feb. 1915 in Toronto. Instead, Neilson moved in 1890 to Toronto. Again insolvent, he opened a grocery, flour, and feed business in his wife’s name on Parkdale (Sorauren) Avenue. It too proved disappointing; on at least one occasion he left to work for ready money on a brother’s farm in North Dakota. Many years later he said that he had produced his first ice-cream – “a few gallons daily” – in 1891. By 1893, however, he had quit retailing altogether and relocated on Lynd Avenue, where, aided by his wife and children, he began manufacturing ice-cream on a commercial scale. Reportedly some 3,750 gallons were produced in the first season. Although the family kept a few cows, when more cream was required Neilson purchased whole milk, took off the cream, and retailed the skim milk door-to-door along with his wife’s mincemeat. Neilson built his reputation on high-quality products made with the purest ingredients, a reputation that he would carefully guard. His ice-cream had a very high butterfat content – in 1908 it would test at 21.9 to 24.9 per cent, making it substantially richer than the products of his competitors or the premium brands of today. In the early years most of his sales were to druggists, confectioners, and restaurants and took the form of bulk, two-gallon containers packed in crushed ice and salt. As well, he produced fancy and seasonal moulded novelties. Until the turn of the century his chief rivals were the bakers, dairies, and confectioners who made ice-cream in the warmer months. In 1900, to advance their own knowledge, Mary Neilson and her son Fred Harry Morden attended the dairy school at the Ontario Agricultural College in Guelph. That same year, in Toronto, Walter Edward Hart Massey* and others founded the City Dairy Company Limited to produce sanitary milk products, a large-scale venture that targeted in particular the more than 300 local dealers who delivered milk in unsterilized containers and the Italian street vendors who sold penny ices. Though Neilson may have welcomed such high-minded competition, he took no chances and moved decisively to strengthen his business. He stopped buying milk, gave up his milk routes, and contracted to buy the cream he needed. Next, taking his lead from a rival (probably City Dairy), he began about 1903 to package his ice-cream as bricks as well as in bulk. Unlike his competitor, which made quart-sized bricks, he adopted the pint, an astute move when few homes had the means to store ice-cream properly. He also declined to follow the example of manufacturers who opened ice-cream parlours in competition with their customers. By 1910 he claimed to supply over 500 Toronto confectioners and druggists daily, having virtually saturated the market. Ice-cream from City Dairy, his largest competitor, was available in fewer than a third this number of outlets. In time Neilson also acquired considerable expertise in distribution, most of it within 600 miles of Toronto. The new factory Neilson opened on Gladstone Avenue in 1905 was essential to the growth of his business. Equipped with the most modern refrigerating equipment, it had a daily capacity of 2,500 gallons of ice-cream and 15 tons of ice. Additions were made in 1906 to accommodate ice-crushers and tanks, and in 1910 and 1912 for the manufacture of confectionery. In 1907 the business was incorporated as William Neilson Limited. Neilson’s diversification into confectionery started modestly enough in 1908 as a way of keeping his ice-cream makers busy during the winter. The shift also made sense because the shopkeepers who stocked his ice-cream sold confectionery too. By 1911 he was offering at least three varieties of boxed milk chocolates; shortly afterwards he launched a line of chocolate bars similar to ones introduced by the firms of Gilbert White Ganong and William Church Moir* in the Maritimes and John Warren Cowan* in Toronto. As the demand for chocolate exceeded expectations, the sideline took on its own identity. Ideas of sharing staff were abandoned when sales of both ice-cream and candy boomed and when it became clear that the ice-cream makers, most of them men, had less dexterity than women for dipping candy. In 1912 Neilson employed between 160 and 170 females in his candy department and about 100 men elsewhere, as ice-cream makers, delivery men, and clerks. By the outbreak of war in 1914, he was making more than 560,000 pounds of chocolate per annum. In 1911 Neilson had purchased a former cheese factory in Beachville, Ont., and equipped it to process milk from the area’s many dairy farms, thus securing a larger and more reliable supply of cream. When Canada’s dairy and cold storage commissioner surveyed 60 ice-cream manufacturers on the eve of World War I, all reported growing volumes. The cream they used, the commissioner estimated, was equivalent to that required to make about two million pounds of butter. Since Neilson’s annual production of ice-cream was then about one million gallons, it follows that his share of the Canadian market (excluding the amount made in homes and on farms) exceeded 60 per cent. 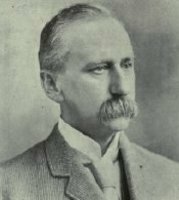 After William Neilson’s death in 1915, his son Morden became president of the prospering company; another son, Charles Edward, was secretary-treasurer, and a third son, James William Allen, was a vice-president. In the manner perhaps of their mother, Morden had been a strong source of support and advice since the late 1890s. Indeed, without his help it is doubtful that Neilson, who was 49 when he began his greatest venture, could have been as successful. Ice-cream and chocolate were his life, and to them he devoted all his energies. AO, RG 55-17-28, nos.343–44; RG 55-17-63, no.4901 CP. City of Toronto Arch., RG 5, F, 1892–93; 1904, building permit no.1377. Neilson–Cadbury Canada Arch. (Toronto), Statement of assets, 1 Aug. 1906; “What some successful dealers say about ‘Neilson’s ice cream”’ (printed testimonials, 1912). Daily Mail and Empire, 8 Sept. 1903; 15 April, 20 May 1905. Evening Recorder (Brockville, Ont. ), 7 Oct. 1875, 14 March 1878, 27 June–24 Oct. 1889. Globe, 15 June 1900; 3, 29 March 1905; 19 Dec. 1912. Toronto Daily Star, 14 May, 23 July 1909; 22 July 1910; 22 Dec. 1911; 4, 6 May 1912. Can., Parl., Sessional papers, 1914, no.15a: 3–4. Canadian Grocer (Toronto), 10 Oct. 1913: 43. David Carr, William Neilson Ltd./Ltée: the first 100 years, 1893–1993 ([Toronto], 1993). Contract Record (Toronto), 24 (1910), no.30: 27. H. H. Dean, Dairying; farm and factory (Toronto, ); “Ice cream manufacture in Canada,” Canadian Farm (Toronto), 9 Jan. 1914: 4. Directory, Toronto, 1890–1914. C. W. Esmond, “The story of Neilsons,” Dairy Products Merchandising (Detroit), January 1925: 32–34. M. E. McCallum, “Family, factory and community: a social history of Ganong Bros., confectionery manufacturers, St. Stephen, New Brunswick, 1873–1946” (phd thesis, Univ. of Toronto, 1987). J. E. Middleton, The municipality of Toronto: a history (3v., Toronto and New York, 1913), 3: 170–71. Ontario Agricultural College and Experimental Farm, Annual report (Toronto), 1913. Ontario Gazette (Toronto), July–December 1882: 514; 1907: 115. Stephen A. Otto, “NEILSON, WILLIAM,” in Dictionary of Canadian Biography, vol. 14, University of Toronto/Université Laval, 2003–, accessed April 24, 2019, http://www.biographi.ca/en/bio/neilson_william_14E.html.